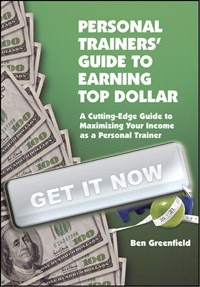 « Social Media Tips For Fitness Professionals: October 2012 Edition Now Available! Last month, in October’s “Social Media Tips For Fitness Professionals”, I told you about something called Wavespot. And no, Wavespot is not a surfboard or boat. Instead, if you’ve got wireless internet at your gym or personal training studio, you simply replace your current router with a Wavespot router and it turns your entire WiFi connection into a social networking tool that gets you more Facebook likes. The way that Wavespot works is that your gym visitors, members or personal training clients, can “Like” your Facebook page to get Free WiFi access. When they open their laptop, electronic pad, smartphone or anything else they want to connect with, and then they try to connect to your gym’s connection, it will not let them connect until they first Like your Facebook page. You can also make it send a message to your Twitter account after they Like your page. Pretty cool, huh? Your customers get free WiFi and you get free social media sharing. Click here to grab a Wavespot router and start doing this trick right away.